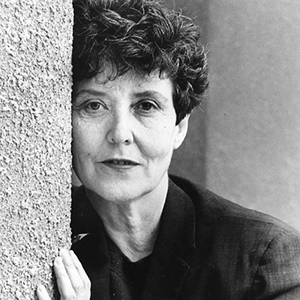 Maria Irene Fornes was born in Havana, Cuba, in 1930. She immigrated with her family to the United States in 1945 and was naturalized in 1951. From 1954 to 1957, she studied painting in Europe, where she saw Roger Blin’s famous production of Samuel Beckett’s En attendant Godot (pb. 1952, pr. 1953; Waiting for Godot, 1954). Fornes returned to the United States in 1957 and worked in New York as a textile designer. During this time, she read plays and began to think about moving into theater. In 1960, she created The Widow, which was first performed in New York in 1961 and then moved to Mexico in September of that year. In 1963 she joined the playwrights unit of the Actors Studio to further develop her writing skills. In the late 1960’s, she served as a costume designer for several avant-garde theater companies including the New Dramatists Committee and the Judson Poets Theatre. Fornes also wrote during this period and had some success with plays such as The Successful Life of Three and A Vietnamese Wedding. She won her first Obie award for playwriting in 1965, the same year Successful Life of Three was produced. In 1966 she had a brief experience with Broadway when The Office, a play she had written, had several previews at the Henry Miller but never opened.